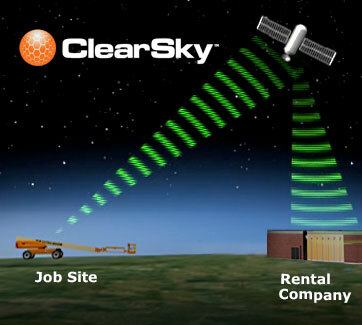 Track your fleet while generating higher revenue and improving ROI with ClearSky™. Use our savings calculator to see how much you could save. Get six months of service free. Users can find a dealer in their area with greater ease. Now users have access to Google maps for each dealer and distributor location. Users can narrow their search to specific equipment and even e-mail the information or send it to their mobile phone. 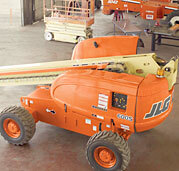 JLG has launched an Authorized Service Provider network for the North American market. 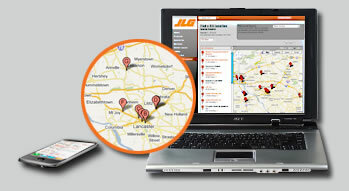 Working in conjunction with JLG Ground Support™, this network helps distributors save money by keeping up with major repairs, mobile service, warranty work, maintenance and inspections. 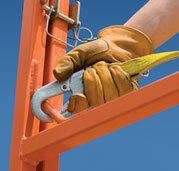 Following safety protocol can actually save you money. While protecting your bottom line is essential in an economic downturn, it’s important to not cut costs on safety in the workplace. One accident can wipe out months of profits. Conducting a hazard assessment and site needs analysis are just some of the ways to increase workplace safety and efficiency. Ready for Round 2? 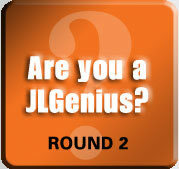 Take our quiz to see how well you know your JLG® equipment. The last quiz was tough but we were impressed with your knowledge. The least known fact was that JLG LiftPod® can be powered by a standard 18V cordless drill or optional 28V LiftPod Power Pack. Congratulations to all the JLGeniuses who scored 100%. Test your JLG knowledge. SHARE THIS ISSUE Check out our scale models too.